Max. 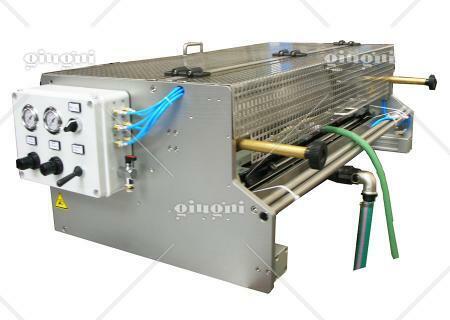 printing area: mm 200 or 450 x 400-700 mm Max. working speed: up to 250 metres per minute. 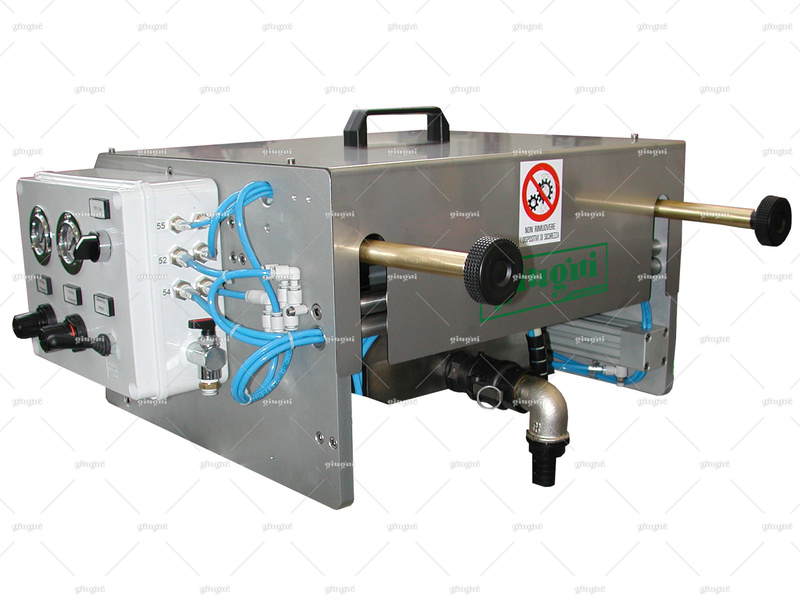 Notes: high speed printing unit with printing roller change system. This Miniflex reaches high printing speeds, even up to 250 metres per minute. It’s available in two versions having max. 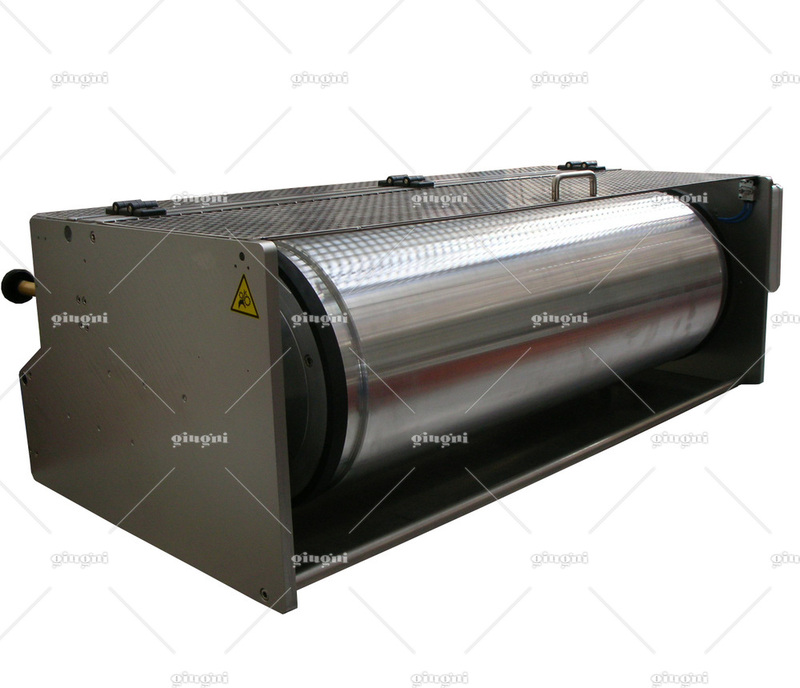 printing width of 200 or 450 mm and offers the possibility to replace the printing roller to get different repeats (developments from 400 to 700 mm). The innovative system by pneumatic cylinders keeps set and in touch all machine components at every roller change so that no adjustment is needed. As a consequence, this Miniflex is very useful when the production requires frequent and quick size changes. Miniflex 521 is equipped with a flexographic inking system consisting of doctor blade and laser engraved ceramic anilox roller. This system is particularly suitable when high printing speeds and low start-up resistance are required. The printing roller is manufactured for cliché fixing by double-sided adhesive. 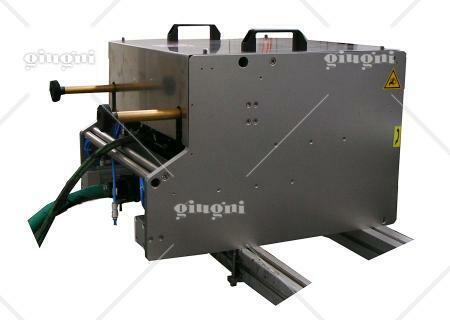 This machine is equipped with micrometrical adjustment device setting distance between the printing roller and the ceramic roller. The ink is supplied by the “ink-recirculation system” comprised of ink bucket with pneumatic mini-pump on its lid, hoses and fast connections.